In the My Profile page, the Assigned Queues area lists the queues that are assigned to the agent grouped by media such as inbound, outbound, Chat, email, voicemail. If your Agent ConsoleVirtual Contact Center's browser-based graphical user interface (GUI) used by Agents to manage customer interactions. 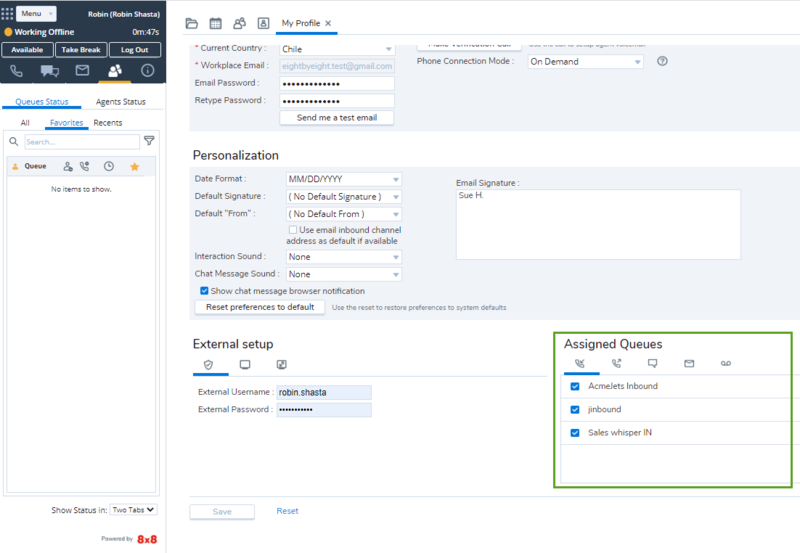 account permissions allow, you may block interactions from a queue by opting out of queue assignments as directed by your contact center supervisor. Navigate to the Assigned Queues in My Profile. Select the desired media tab. Clear a queue assignment in your profile. Save changes to your profile. Interactions from this queue are not offered until enabled again.